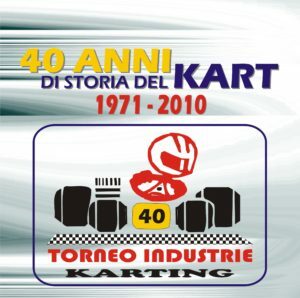 The first times of the 47th Trofeo delle Industrie have been put in during free practice at South Garda Karting in Lonato on Friday. 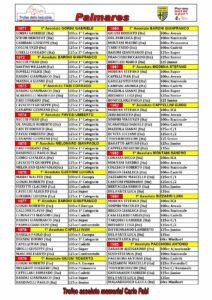 Qualifying and heats on Saturday October 27th. Second chance races and Finals in Live Streaming on October 28th. 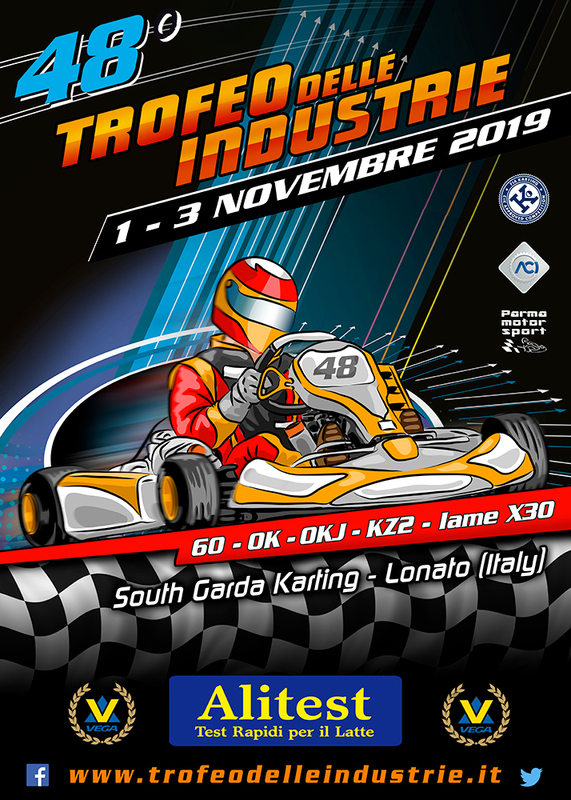 A great drivers presence – 231 verified out of the 240 entered – covering 4 Continents and 37 countries started the 47th edition of the Trofeo delle Industrie, race scheduled at South Garda Karting of Lonato on the weekend of October 26-28. The event, organized as tradition by Parma Motorsport has seen the four categories KZ2, OK-Junior, 60 Mini and Iame X30 Senior on track on Friday for free practice with a good number of drivers challenging each other for the win. Qualifying and then heats will take place on Saturday 27th, while the four Finals proceeded by the second chance races will follow on Sunday October 28th. Live Streaming on www.trofeoindustrie.it. 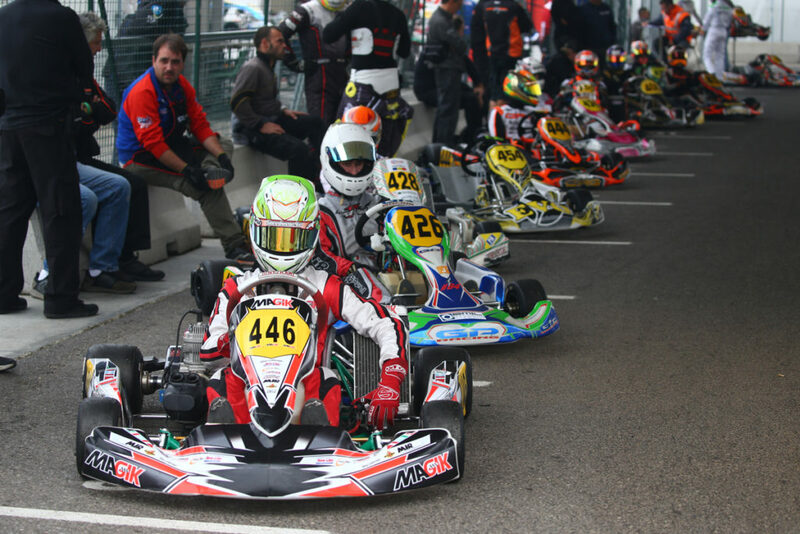 During the first day the French driver Emilien Denner was on top of KZ2 on Kalì-Kart out of the 57 drivers. The recent winner of KZ2 Cup at the German DKM Championship posted the quickest time of both sessions in 45.531s and 45.674s. Several drivers came to the fore in the other sessions, as the other French Adrien Renaudin, on Sodikart, who is the KZ2 European Champion and posted his quickest time in 45.677s. Giuseppe Palomba was also among the quickest at his debut with Croc Promotion posting a 45.857s in another session, and Danilo Albanese on Tony Kart completed his best lap in 45.891s. On the wet due to a light rain, the winner of the two most recent editions of the Trofeo delle Industrie, Riccardo Longhi was the quickest on BirelArt, in 1’00.701s. The multiple-times champion Fabian Federer will certainly be among the protagonists at his debut with Maranello Kart, as he has been particularly quick so far. OK-Junior has 51 drivers at the start. Among these, the Russian Kiril Smal of Ward Racing has been the quickest in three of the four sessions on Tony Kart and posted his best time in 47.955s. He was followed by the Dutch Dilano Vanthoff of Forza Racing on Exprit in 48.002s and by the other Dutch driver Thomas Ten Brinke of Ricky Flynn on FA Kart in 48.053s. A good battle will also take place in 60 Mini, category that has 71 drivers at the start. Brand Badoer (Parolin) came to the fore in the in the four sessions posting a best time of 53.212s, the Belgian Ean Eyckmans (Parolin) followed in 53.405s, the British driver Coskun Irfan (Parolin) in 53.460s, Jamaica’s Alex Powell (Energy) posted his best time in 53.486s, Cristian Bertuca (Parolin) in 53.513s, Francesco Marenghi (Evokart) in 53.515s and Douwe Dedecker (Parolin) in 53.531s. In Iame X30 Senior, that has 52 drivers at the start, the quickest were the Argentine Dario Vezzaro on Tony Kart in 48.736s, Danny Carenini on CRG in 48.861s, the other Argentine Lautaro Pineiro followed on Tony Kart in 48.872s, Luca Bosco on Tony Kart in 48.916s, and Leonardo Caglioni on KR in 48.957s.